In the digital marketing landscape, companies constantly adjust their marketing by using new digital advertising strategy trends. A digital advertising strategy is the use of actions and platforms to complete a marketing campaign. As an advertising executive, you can take advantage of these trends to improve your campaign’s success. In this article, we will discuss digital advertising strategy trends. 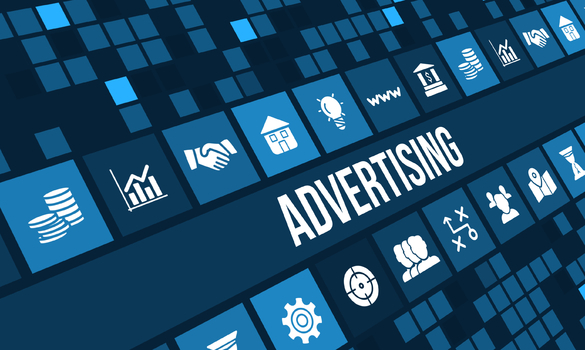 Micro advertisements are amongst the most popular digital advertising strategy trends. This advertising strategy has gained popularity due to the nature of video streaming platforms. Most streaming sites now use front loaded ads that viewers can skip after 5-10 seconds. Social media sites has even added these types of ads to their sites to promote businesses. This strategy involves making an ad that only lasts 5-6 seconds. You can use this digital advertising trend to increase your ad’s visibility. Because micro ads are unskippable, your target audience will see and hear everything you want to convey. To efficiently use micro ads, use a jingle or logo. The unexpected quickness of the ad will catch your target’s attention. This is a digital advertising strategy trend that will always be viable for use with video streaming. Blockchain is a digital advertising strategy trend that increases viewership. The technology is the use of digital currencies for paying others. You can pay a viewer a small amount of digital currency to watch an ad. This strategy is effective for getting viewers to willingly watch your ad. The best part of this strategy trend is that it is non intrusive with a high ROI. Unlike traditional ads that try to reach a random widespread audience, blockchain viewers have an idea of what they will be watching. You can increase your ROI by targeting your viewer’s interests. This will increase your campaign’s view to purchase ratio. Take advantage of this cheap digital advertising strategy to pay viewers to become buyers. A recent digital advertising strategy trend is viral marketing. Marketing companies are now focusing on taking advantage of the internet’s sharable nature. Viral ads can quickly gain ridiculous amounts of views just by being quirky or strange. For even more success with this, your company will need a logo to be easily recognized and remembered. When creating this form of advertising, implement entertainment or shock value. Although your ad should be informative, humor will go a long way towards lowering a consumer’s defenses. Viral advertising increasing in popularity due to internet memes. You should consider viral advertising if your target demographic is younger. Viral advertising is a digital advertising strategy trend that is great for garnering attention quickly. Machine learning is an innovative digital marketing strategy trend. The strategy is an advanced tool that analyzes data to solve problems. You can implement machine learning to bolster your campaign through better statistics and improved content. By implementing a machine learning tool, you can actually analyze other current trends and predict future popularity. The next step is to create targeted ads for your campaign. Machine learning also helps you pick the best platform for your content. This strategy will show you which ads are most efficient, and where they are receiving the most views. This is a digital advertising strategy trend that will continue to grow due to increasing computer power. Pay per click is a fast, efficient digital advertising strategy. This type of advertising is an online ad model where you put ads on search engines. Pay per click operates on a bidding system for targeted adwords. This strategy trend is seeing increased usage due to obtaining cheap, instantaneous results. Your advertisement becomes visible immediately and you only have to pay when consumers click on your advertisement. This is a great strategy to implement in a campaign with a budget. You can also use pay per click to get higher rankings online. Even if your product isn’t very popular yet, pay per click will send you to the top with targeted keywords. Use the pay per click digital advertising strategy trend as a cost effective way to improve search engine rankings. These new digital advertising strategy trends have shown great value. Boost full ad viewership with micro ads, blockchain and viral marketing. Then take advantage of search engine algorithms with machine learning and pay per click. Using these strategies is basically giving your company paid advertising. By using these digital advertising strategy trends, you can innovate your marketing campaign.